Vice Media, a news giant based in Brooklyn, New York, has been a significant player in the media business for about 20 years now. It became worldwide famous thanks to its controversial style and choice of topics. Now, it is ready to conquer new territories. 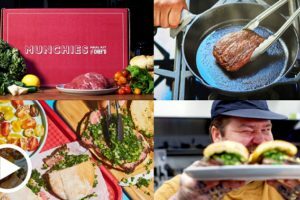 John Martin, who has been working for Vice Media for over 15 years, is now the publisher of Vice’s food line Munchies. Martin says that he has tried numerous meal delivery services over the years and has never been completely satisfied with their quality. At first, he thought this kind of service was created for lazy people only, but after realizing how much meal deliveries such as Blue Apron actually earn, Martin changed his mind. For those of you unfamiliar with Blue Apron, it is a popular meal delivery service founded in 2012. It delivers pre-portioned ingredients and chef-created recipes to your doorstep on a weekly basis. While Blue Apron is highly successful, the numbers show that only half of its customers renew their subscriptions after two weeks. This made John Martin think about what a meal delivery could possibly do to encourage more people to join and become long-term customers. After some time, Martin realized that Munchies should offer high-quality food, just like Blue Apron, but also provide the convenience of fast food delivery. That’s why Munchies will operate as a one-off delivery, at least in the beginning. Vice Media has hired chef Matty Matheson, the host of its How To series and star of Dead Set on Life, to create the menu for the launching. He has already prepared the first 5 recipes, which include breakfast options and trout almondine. Vice also plans on hiring more chefs as the business expands. Munchies meal kits will at some point include various meals for meat lovers, vegans, and vegetarians. The price of each meal is expected to go from $9.50 to $15 for 2-person and from $5 to $11.50 for 4-person orders. Shipping won’t be included in the price. The company plans to include subscription options after it learns more about the food preferences of its customers. In order to cut down the costs and provide great service, Munchies has partnered with Chef’d, another renowned meal delivery service. Chef’d is responsible for sourcing, logistics, packaging, and shipping. Munchies will use Vice Media’s successful media platform to promote its services. If you love organic meat, then you will love Greensbury, one of the finest organic meat delivery services in America. Although its offer is not particularly vast, it includes everything from beef and bison to lamb and even wild-caught seafood. 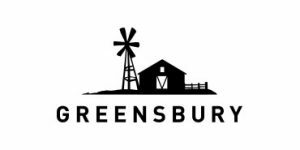 Read our entire Greensbury review to find out more.